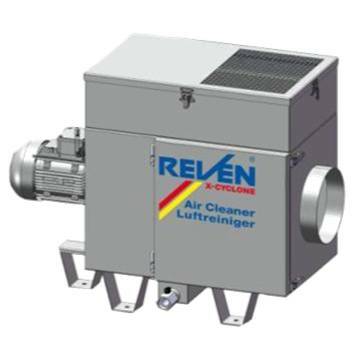 An oil mist collector from Germany, Reven is the oil mist separator system for all types of machining centers (CNC, Griding, Lathe and etc.) It eliminates the inherent problems of centrifugal systems such as noise, strong vibration and low separation efficiency. With the technology of X-CYCLONE® Mechanical Separating system from REVEN® there is no need to change filter because the filter is self-cleaning.